Like a kid in a candy shop, THQ Nordic is scooping up franchises left and right. After the acquisition of Timesplitters last month, the latest addition to Nordic's library is the open-world RPG title Kingdoms of Amalur from 38 Studios. In addition to the Kingdoms of Amalur IP, Nordic has purchased the studio's unreleased Copernicus MMO. 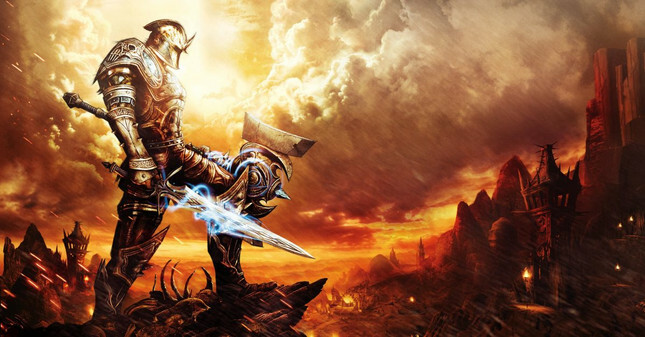 Shortly after Amalur's release, developer 38 Studios filed for bankruptcy amid investigations from State Police, FBI, and the the U.S. Attorney's office. Despite the controversy behind the scenes, we loved Kingdoms of Amalur. Our own Dan Cheer scored it 8.0 for its "visceral, clever combat" and "large, rolling landscape with varied characters and encounters." Now that it's got new life at THQ Nordic, here's hoping we see the sequel this game seriously deserves.